RADIATOR ARTS is a talented team of artists, designers, performers and volunteers with experience and skills across a wide range of media and disciplines. We provide innovative workshops and unique site-specific events that lift the spirits and expand the imagination. A menagerie of the weird, wild and wonderful as Radiator Arts comes together on May Day to celebrate Hastings Jack in the Green. A collaboration with Glasgow based performance arts company Mischief La Bas and Hastings based MSL Productions, ‘Nursery Crymes’ is an interactive light, sound and performance extravaganza exploring the darker themes of traditional children’s stories and nursery rhymes. 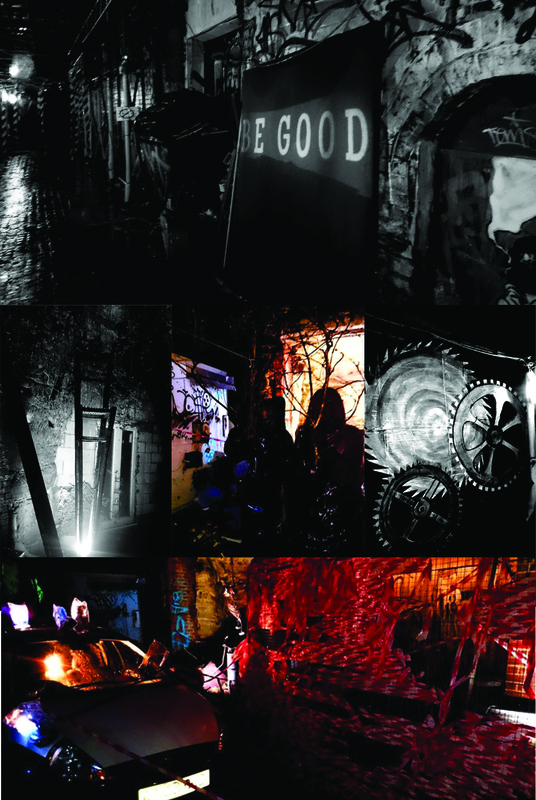 A preview taster performance in Hastings Rock Alley in January 2017 treated a select audience to an evening of atmospheric light and sound, surreal imagery and encounters with bizarre and unsettling characters. Developments are ongoing, with further updates on the project to follow soon.